I came across something pretty cool today and it made me think that it might make a sweet group buy for the forums! So what do you guys think? 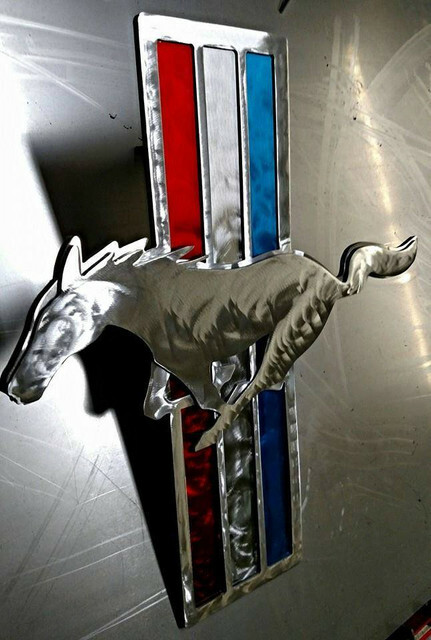 Who would be in for a custom Mustang Wall Art logo?? I just listed the last few 7173Mustang.com challenge coins on Ebay! There are only 3 left! These were from a run of 100 that we did a few years ago. If you missed out, now is your chance to grab one and also help support the forums! Once these items are gone...they are GONE! No reruns are planned. 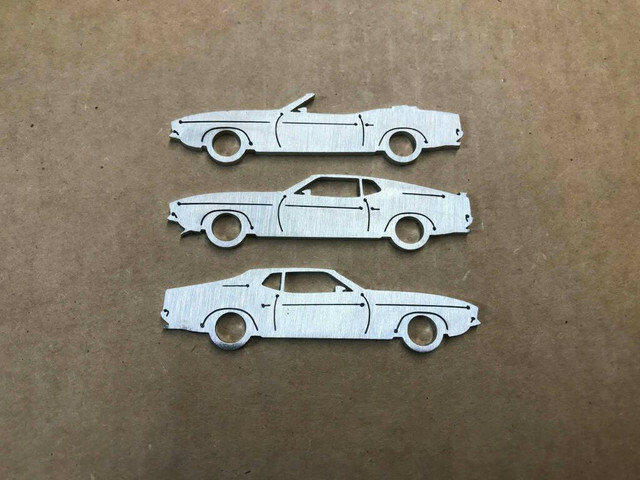 Again, these are great items to add to your collections and even better...they help support your favorite Mustang Forums!! Be sure to hit the LIKE button! 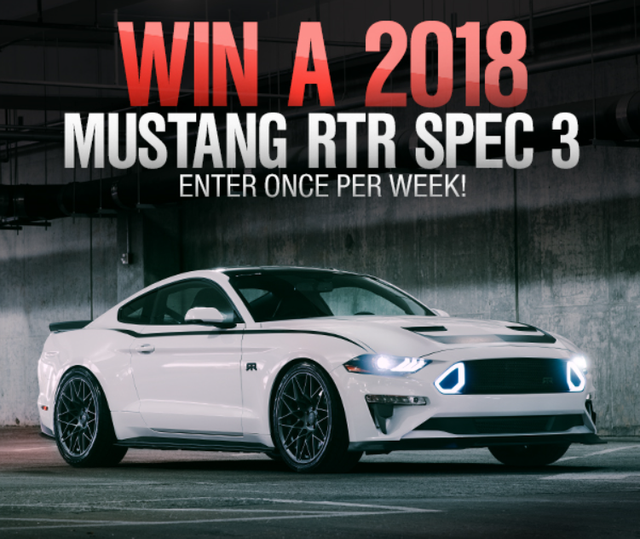 Who wants to win a 2018 Mustang RTR Spec 3? Firstly, I am happy to announce that American Muscle signed up to be a Site Supporter aging for another year! You can find their link on the home/portal page! They are not really a big 71-73 parts supplier but please keep them in mind for any of your newer Mustang needs! Secondly, who wants to win the 2018 Mustang RTR Spec 3 that American Muscle is giving away? If you are feelin' lucky...head over to the link below and sign up! You can do so once per week! We received a ton of GREAT photos for the 2018 calendar and I am please to announce that it is now available for purchase! I used almost all of the submitted photos unless they were too small...there was also a lot of mix and matching on the pages so I was unable to list each owner, but many have expressed that they prefer not to be ID'd so I think everyone will be happy! If your photos didn't make the cut, work on taking and saving some large file photos for next year! We are definitely going to do this again!! Here is the link to preview and purchase...remember, any proceeds from this calendar sale go to help support the forum operating costs! Be sure to check LULU's home page for calendar discount codes before you buy!! Hey guys, I have been doing some theme rebuilding since we upgraded forum software...I think I finally have it back to normal! I also rebuilt the dark theme as well! You can check out the dark theme by clicking in the theme chooser at the bottom of any page and then clicking on Dark Mach1! To change back, just click on the Mach1 theme in the theme chooser. For those of you using the forums on a mobile device...please consider downloading Tapatalk from the Play Store or Apple Store. It is FREE and will allow better usage of the forums. The themes we are running here are not responsive to mobile devices and there is no way I can make them responsive. I really recommend Tapatalk for mobile use! Once you download the app, just search for 7173Mustangs, open it and log in! I think you will like it!